Few people realize in these days when satellite dishes are found on every other rooftop that, back in the early sixties somewhere in the hilltops near the northern italian city of Turin, two young italian brothers were prying into the most guarded secrets of the mighty Soviet Union. The space race was in full swing, providing the battleground for a vital propaganda confrontation between East and West, in the midst of the cold war. 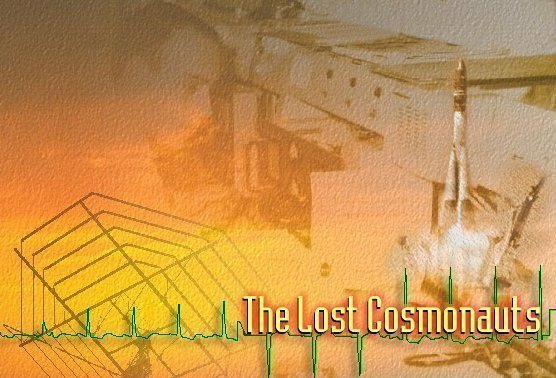 The Judica-Cordiglia brothers, sons of one of Europe's foremost pathologists, set up a listening post which probed the cosmos and successfully tracked all the early american and soviet unmanned satellites. The geographical location of their station proved particularly suitable for the reception of soviet space vehicles, which regularly overflew Northern Italy during their approach to the soviet tracking centers in the Caucasus. Using an array of advanced equipment, the two young italians soon learned which radio frequencies to monitor and how to predict the overfly times of the various space probes. One day in early 1961, weeks before Yuri Gagarin's epic space flight, instead of the usual beeping tones which they had become accustomed to hear, they were startled by a sound which signaled a new chapter in the history of mankind: there, in the listening center of "Torre Bert", these two young students heard, clearly and unequivocally, the beat of a failing heart and the last gasping breaths of a dying cosmonaut. The incredible, disturbing real-life events which are presented on this site are being uncovered for the first time outside the restricted community of 'insiders' who have, for reasons unknown, decided to protect the secrecy of the Soviet Establishment. Read on, everything you will find is true. communiqué about the Judica Cordiglia brothers.